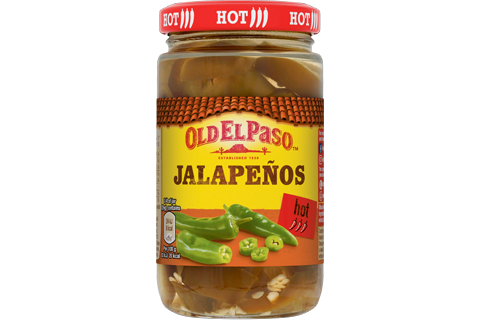 With hot green jalapeños, cheese, refried beans and a sprinkling of coriander, this quick hot dip has all the right flavours for your next fiesta! 1. Preheat the oven to 190°C (170°C for fan assisted ovens), gas mark 5. 2. 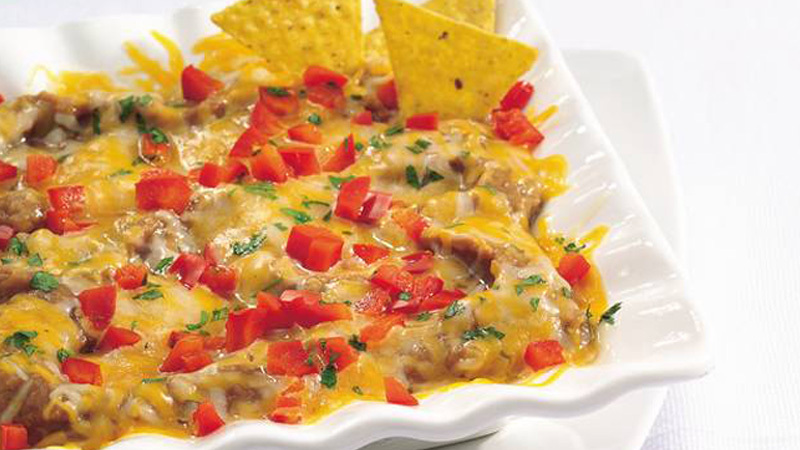 Combine the refried beans and jalapeños in a shallow ovenproof baking dish. Mix the cheeses together and spread over the top. Scatter over the red pepper. Cover loosely with greased foil and bake in the oven for15 minutes until the cheese has melted. 3. Sprinkle over the coriander and chopped green chilli (if using). Serve with tortilla chips and carrot batons to dip. Try a mix of mozzarella and Double Gloucester for a milder flavour. Instead of the peppers, top with diced tomatoes or shredded spring onions.